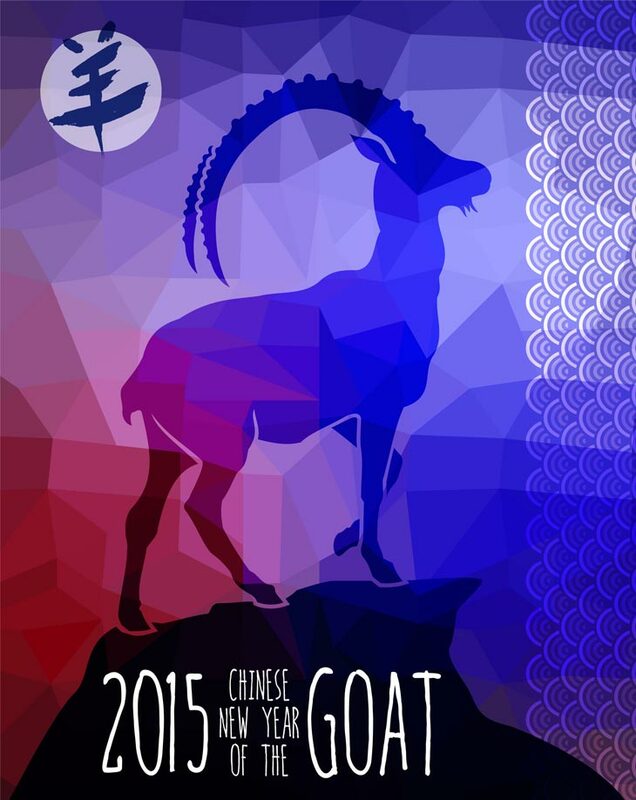 Every year on the second new moon after the winter solstice marks the beginning of the Chinese New Year celebration. It concludes with the first full moon 15 days later. Within Chinese culture, special meals, family visits and gift giving mark this time period. Traditionally, this was a sacred moment where people take the opportunity to honor their ancestors and to worship the divine. There are many customs, including cleaning the house to rid it of any ill fortune, and to welcome in good luck with the New Year. One of the many differences with the Gregorian calendar is that each year is associated with an animal that brings in a different energetic. For most of us living in the US, our first exposure to this system is through paper placemats in Chinese restaurants. At least, that was my first experience growing up in the sixties. The system is actually quite beautiful, complex and intricate. This past year was the year of the Wood Horse. Horses are out-going, exuberant, high spirited, enthusiastic, impulsive and fast moving. It being a Wood year meant that it was fueled by the energy of spring that pushes through obstacles as flowers push forward in the spring. It is a time to move forward taking the creative plunge to create new projects and discover your dreams. So running with this energy, this year I opened a beautiful new office with colleagues. Also, I began offering weekend qigong classes, which I hadn’t done before in Washington, DC. Both projects were intense new endeavors and required an enthusiasm and energy to accomplish. Being a yang animal such as a horse and being a wood year created a big stir in many people’s lives. In contrast, the energy of the New Year being the Wood Sheep/Goat (it varies whether people say goat or sheep, but it’s agreed that it is a horned animal.) is a natural yin animal. This means that this animal is more naturally inward, bringing a time of gentle, quiet movement. The emphasis will be on inner patterns as opposed to outward strides in the world. The Sheep/Goat is nurturing, gentle, compassionate, intuitive, and feminine. It is a time when we shift from projects which focus on making your presence in the world realized to an energy which will work on self healing of old wounds, removing self judgment, forgiving yourself, and accepting who you are. The sheep/goat is often compared to the energy of the sign of Cancer, as it is known for family focused nurturing. As the official change occurs on February 19th, allow yourself the enjoyment of spending time with friends and family. Take the time to focus on your emotional well being as a transformative opportunity. Remember allow yourself self-acceptance, patience and kindness. Nurture yourself and your loved ones.